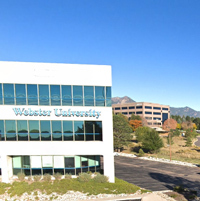 Webster University has been selected for the 2018 Best of Colorado Springs Award in the University category by the Colorado Springs Award Program for the fourth consecutive year. The award recognizes companies that have achieved exceptional marketing success in their local community and business category, and enhance the positive image of small business through service to their customers and our community. 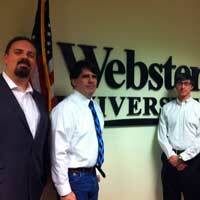 Webster University has been selected for the 2016 Best of Colorado Springs Award in the University category. This award recognizes organizations that have achieved exceptional success in their local community and business category. 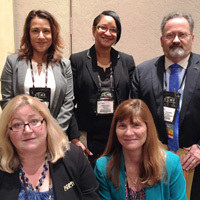 Webster University was well represented during the 2016 Council of College and Military Educators (CCME) annual symposium in San Antonio, Texas. 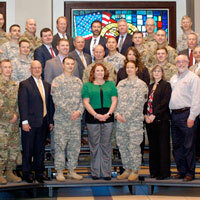 Several Webster military directors moderated or spoke on panels including Sean Coleman, Janice Neal, Margaret Reed and Sandra Kunz. Four Webster graduate Space Systems Operations Management (SPSM) students at Colorado Springs are supporting practical research on the use of Unmanned Aerial Systems (UAS) during state emergencies. Additionally, the students are producing a smart book detailing Colorado based UAS asset technical capabilities, and will draft a proposed concept of operations streamlining the handoff of UAS lifesaving assets from city, county, state and federal incident commanders. 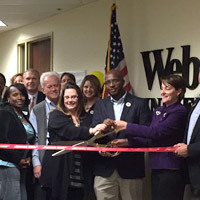 The Colorado Springs metro campus location celebrated Webster University’s 100 years at a ribbon-cutting event with faculty, community leaders and partners in the region. Representatives from alumni, the campus, and local businesses took the opportunity to speak about Webster's contributions to Colorado Springs over the years as a nonprofit educational leader.